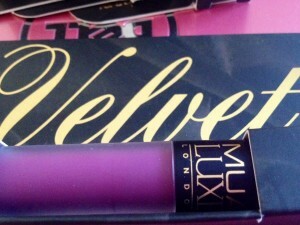 Unless you’ve been living under a rock for the last year or so, you will be well aware of the matte/velvet lip trend. With all the different varieties of matte products available there are, in my opinion, only a few that are actually worth their packaging. 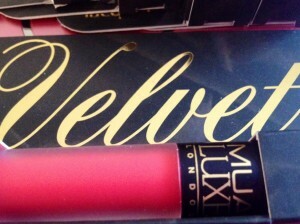 Anyone who knows me will know that I love MUA Cosmetics and I am always one of the first people to champion their products but, when I heard that MUA were going to be bringing out their Luxe Range, which included a Velvet Lip Lacquer I was a little dubious. 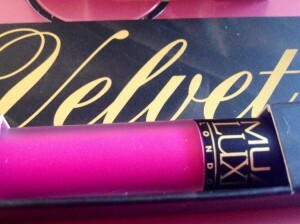 I have used, and loved, the original Velvet Lip product, Lime Crime’s Velvetines but, with a price tag of at least £11.00 (depending on stockist), they’re not exactly what I would class as purse friendly to every budget. That said, the price tag does reflect quality, from the outer packing, to the frosted tube, right down to the formula itself so, surely, a cheap drugstore brand wouldn’t even come close right? 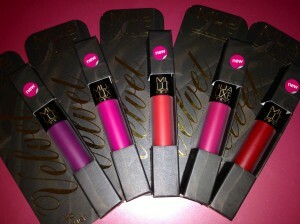 MUA’s Velvet Lip Lacquers retail at £3.00 each but do not be fooled by the price. From the first look at the sleek, matte effect black & gold packaging, you know you’re holding something rather special. 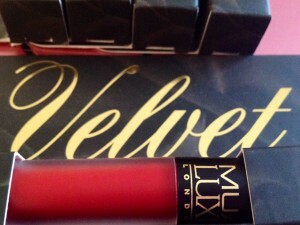 I almost didn’t want to open the outer packaging as it was so nice but, when I did, I was met by a frosted tube, with a matte effect black lid and “MUA Luxe London” inscribed in gold lettering. 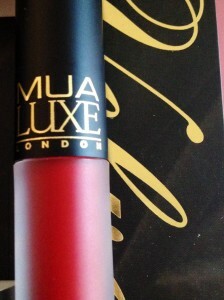 MUA says: “Get the ultimate velvet-matte pout with this richly pigmented, silky smooth lip lacquer. The quick-dry formula glides on effortlessly to leave a gorgeous matte finish, that is smudge-proof and long-lasting”. The application of the product is, as MUA state, easy and very smooth. The product glides on and you get good coverage and pigmentation just by using the product that is already on the wand. The product does take a little longer than I’d have liked to dry but, when completely dry, the finish is matte without being drying and flaky. That said, I wouldn’t recommend applying this product to very dry or chapped lips as I don’t think the end result would look very nice. RECKLESS. The classic red, with a blue undertone. FUNK. A deeper, pretty & girly pink. KOOKY. An amazing dark purple, perfect for the Autumn Berry Lip Trend. CRIMINAL. An almost neon pink. ATOMIC. A vibrant coral orange. I have worn Kooky, but don’t have a picture of it on. The colour was long lasting and the only sign of wear I got was in the center of my lips after eating. 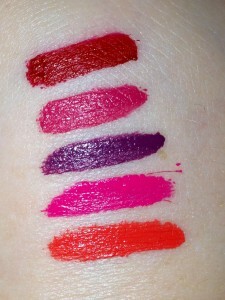 Do I think that MUA are serious contenders in the Lip Lacquer stakes? No, I think they’re already at home with the prize. 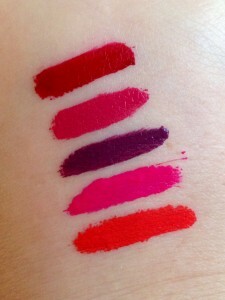 These lip lacquers are, by far, the best available. For just £3.00 you are getting high end packaging and outstanding performance. I for one cannot wait to see what else MUA have in store for us this year and in 2014. The other products available in MUA’s Luxe Range are: Power Brow, Precision Liner & Glitter Palettes. There is also an eye shadow palette called “Pretty Edgy” which is due for release shortly. All of the MUA products mentioned in this post can be found over on MUA’s website, on Superdrug’s website and in selected Superdrug Stores.